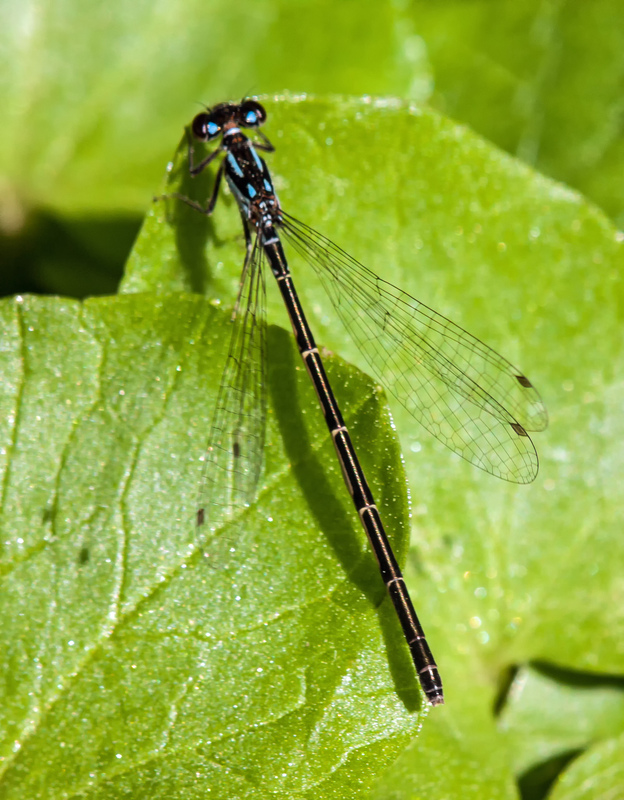 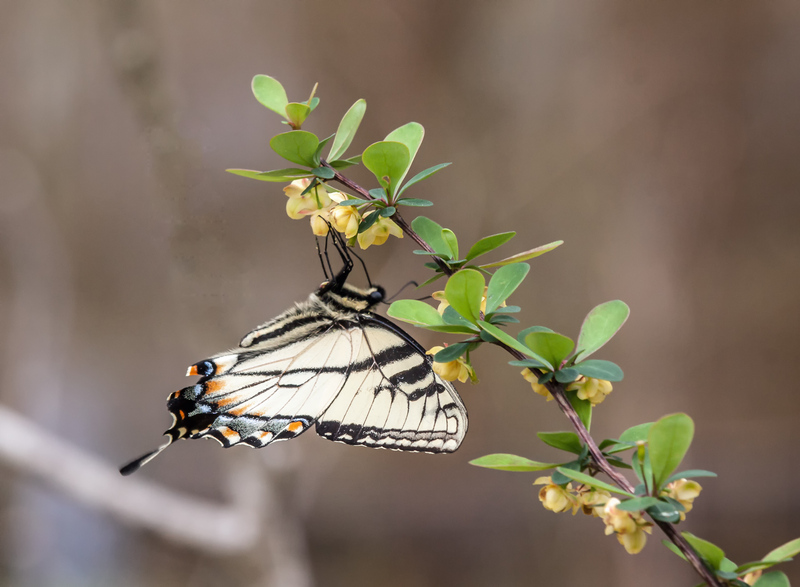 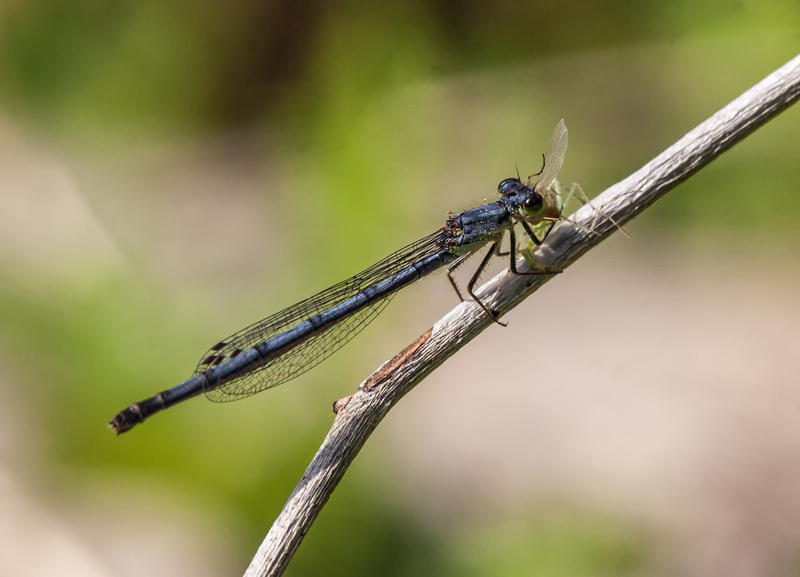 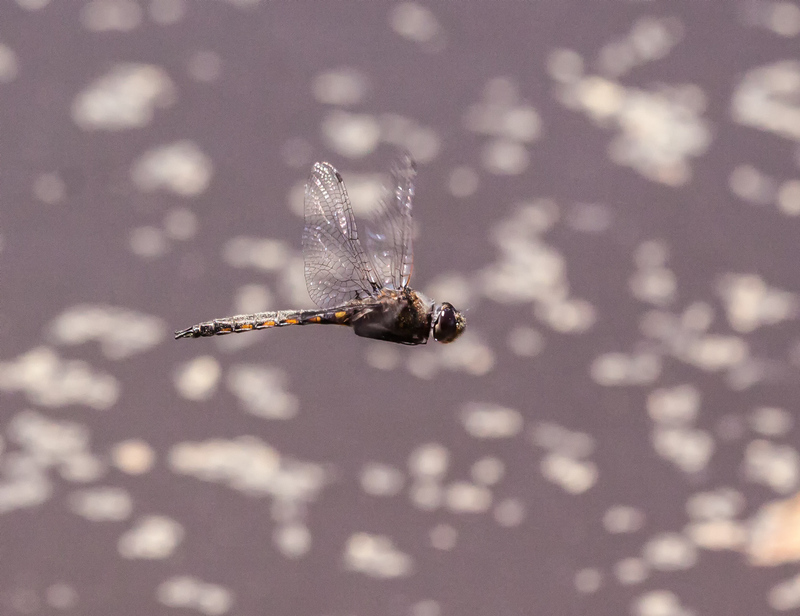 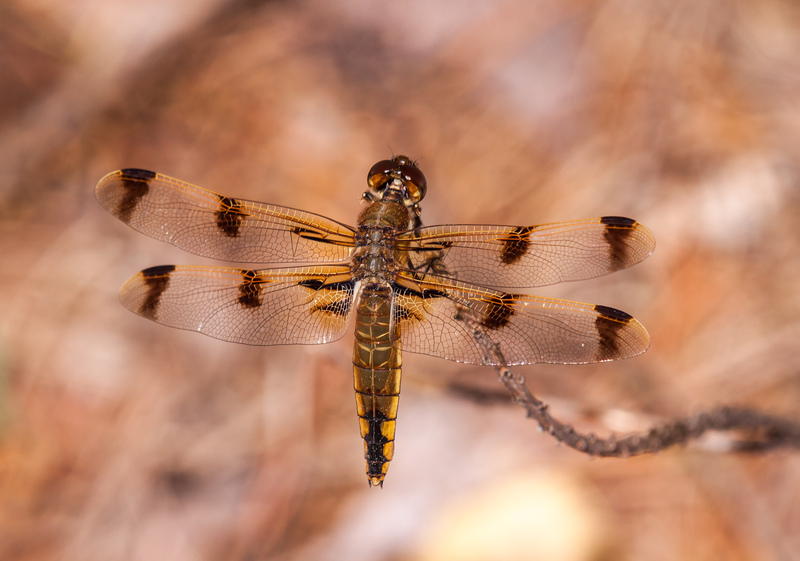 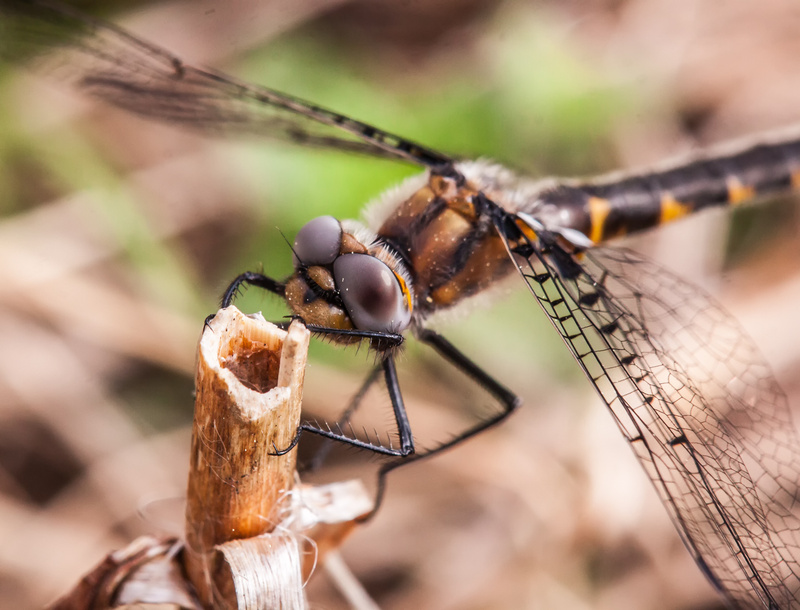 On Monday I traveled to Patuxent Research Refuge in Laurel, Maryland with fellow dragonfly enthusiast and blogger Walter Sanford to search for dragonflies. 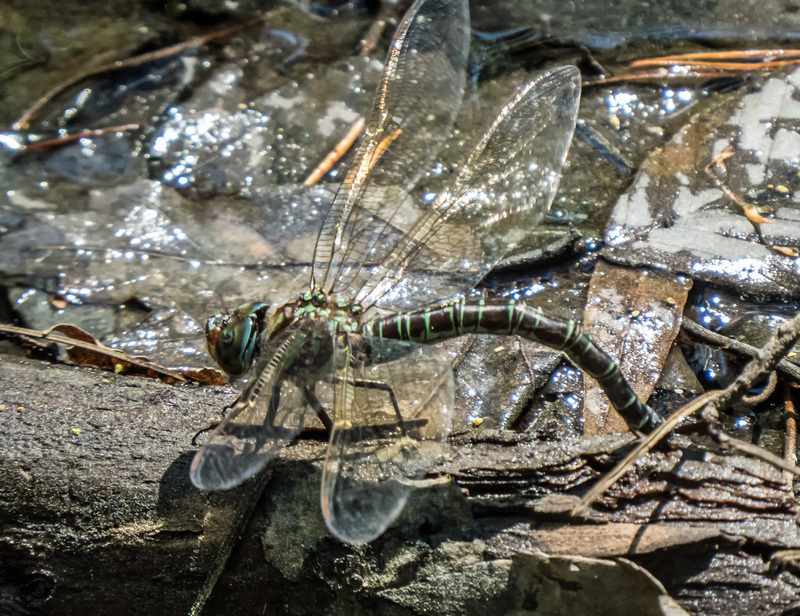 One of the highlights of the visit for me was spotting this female Swamp Darner dragonfly (Epiaeschna heros) as she was laying her eggs. 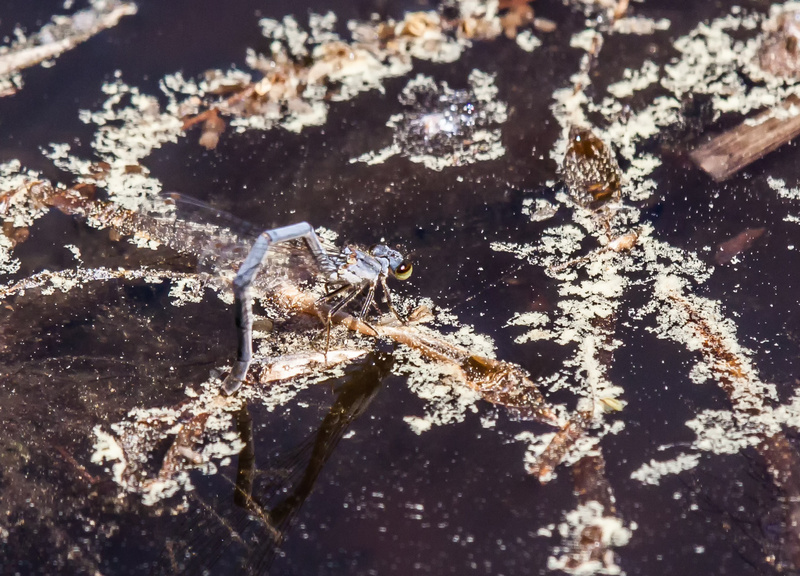 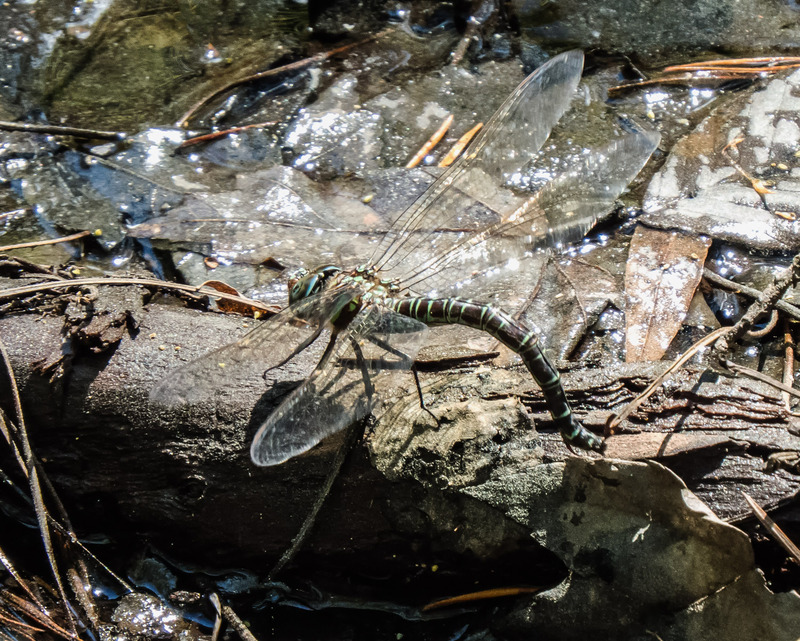 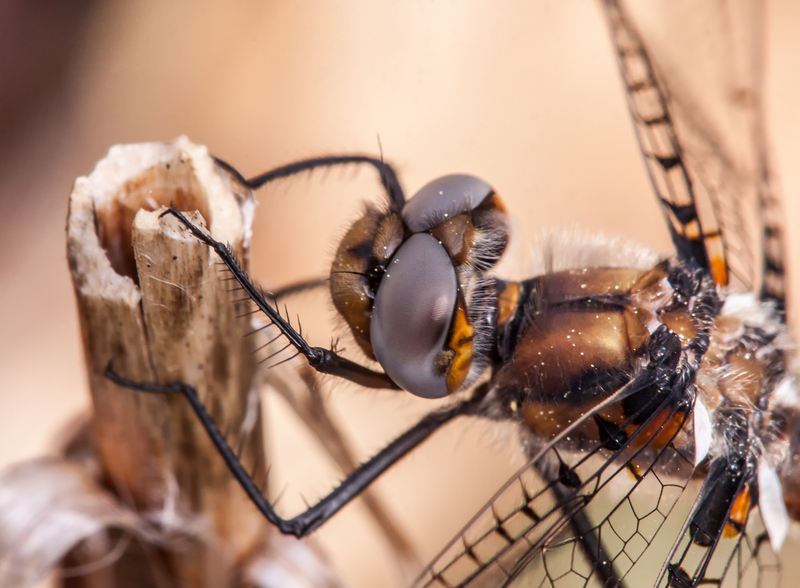 As you can see from these two photos Swamp Darners lay their eggs directly into wet wood with their blade-like ovipositor, unlike many other dragonflies that lay their eggs onto the water. 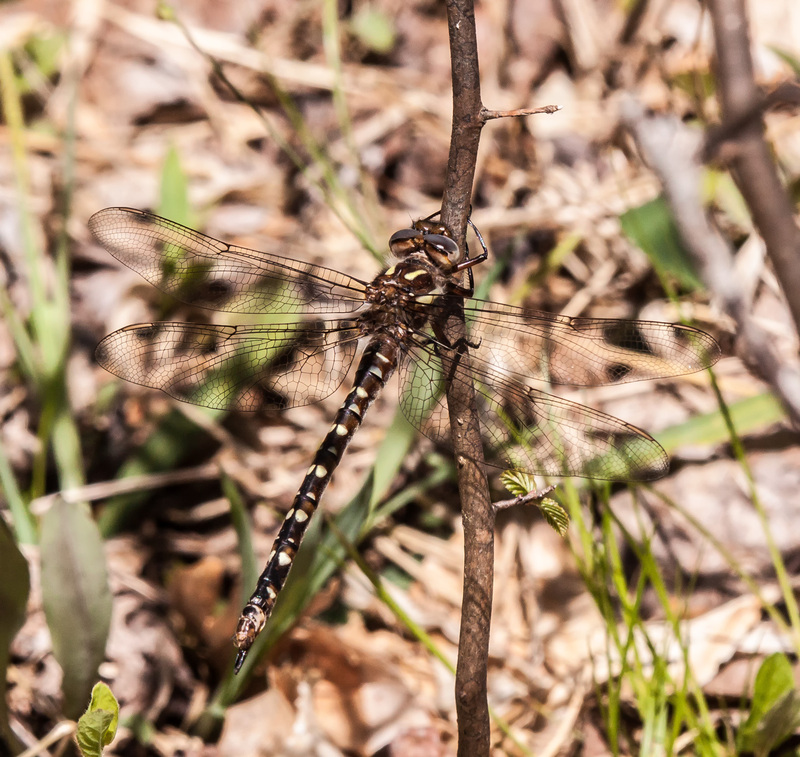 Swamp Darners are among the largest dragonflies in our area, about 3.4 inches in length (86 mm) and it was impressive to watch this one flying about over a swampy area of the refuge.